Located at 255 Periwinkle Way on Sanibel Island, Shell Island Beach Club is always a favorite! 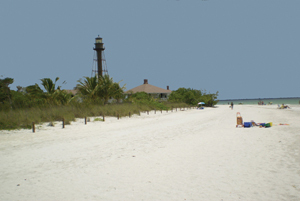 This condo is direct gulf front on the eastern end of Sanibel, just a short walk to the Sanibel Lighthouse. Whether you want to walk for miles on our famous beaches, relax in the sun, or check out our historic lighthouse... Shell Island Beach Club might be just right for you! The east (lighthouse) end of Sanibel is a popular area with some of the best beach areas, not to mention some of the best shelling in the world! If you get tired of the beach, Shell Island Beach Club has a large pool and spa, tennis and shuffleboard to keep you busy. On the shoreward side of the resort you have over 20 miles of walking and bike trails to enjoy. Shell Island Beach Club currently has three listings ranging from from $710,000 to $900,000. There are only 12 condos at Shell Island, along with some timeshare units. This is a great place to enjoy your condo as well as rent it when you're not here. There is an on-site rental office as well as being a popular place for return guests. If you want to see more of Shell Island Beach Club you can check out my website page, along with a fun virtual tour of the property and beach! I even have a full video tour of Sanibel's east end for you to check out! We are entering our relaxing summer season and this is a good time to check out what's available in Sanibel Island Real Estate and Captiva Island Real Estate. Prices are still low and mortgage rates are so low it's hard to believe! Give me a call at 239-691-4915 or contact me using my website contact form. You can also put my mobile website in your mobile favorites so you can keep up with all the latest listings! Or you can email me your criteria for the property you are looking for and I can put you in our automatic email system. This alert system will automatically email you any new listings that fit your criteria! Condos, homes, land, Sanibel, Captiva or Fort Myers - I can help you!